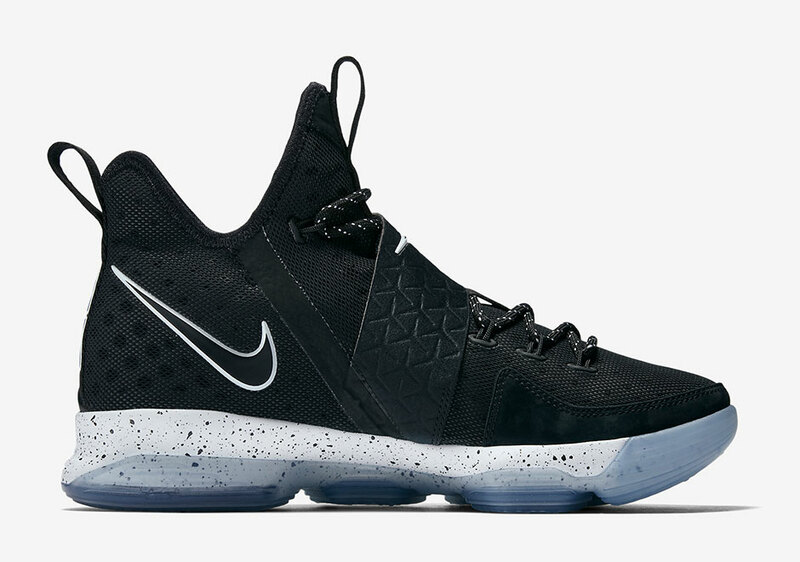 Updated January 25th 2017: The Nike LeBron 14 “Chase Down” releases via Nike SNKRS on February 10th, 2017 for $175. LeBron James debuted the LeBron 14 in a win over the Golden State Warriors on Christmas Day, and even though the Warriors got their revenge on Monday night in a blowout victory, LeBron and the Cavs didn’t seem too worried about it. 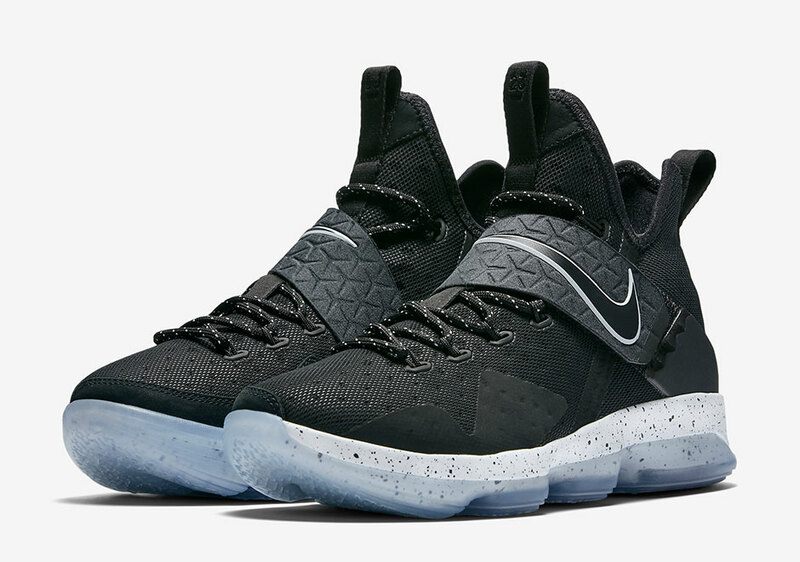 Perhaps it’s knowing that there’s still half of the regular season to be played that made them shrug off the loss so easily – and that only means we’ll be treated to more colorways of the Nike LeBron 14 on-court. 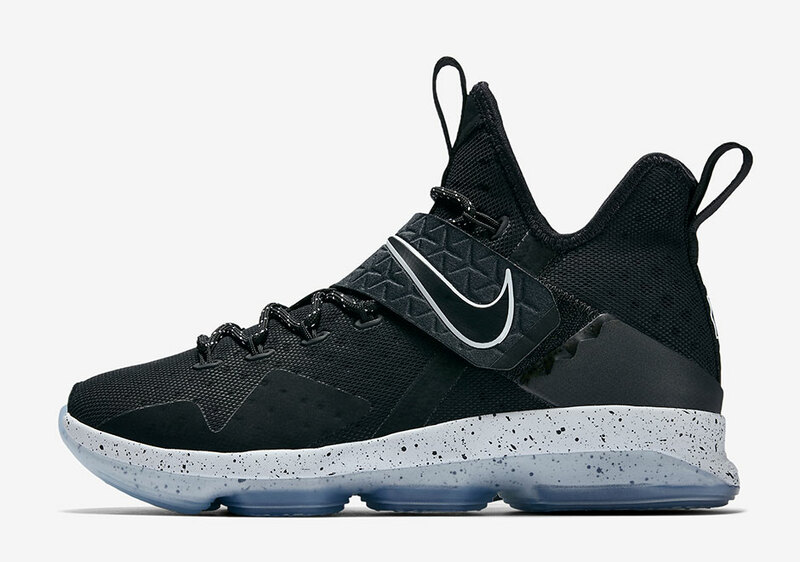 Today we get a look at official imagery of the first retail release of LeBron’s latest signature sneaker with the introduction of the Nike LeBron 14 Black Ice due out on January 28th, 2017 for $175 USD. 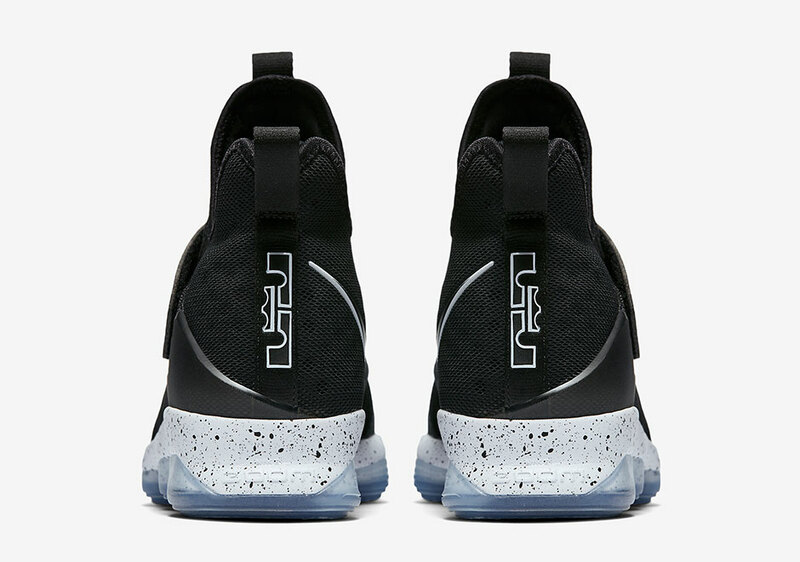 The Nike LeBron 14 Black Ice is as simple a debut colorway as they come thanks to a seamless slip-on black base featuring the latest in Nike’s engineered laser perforation. 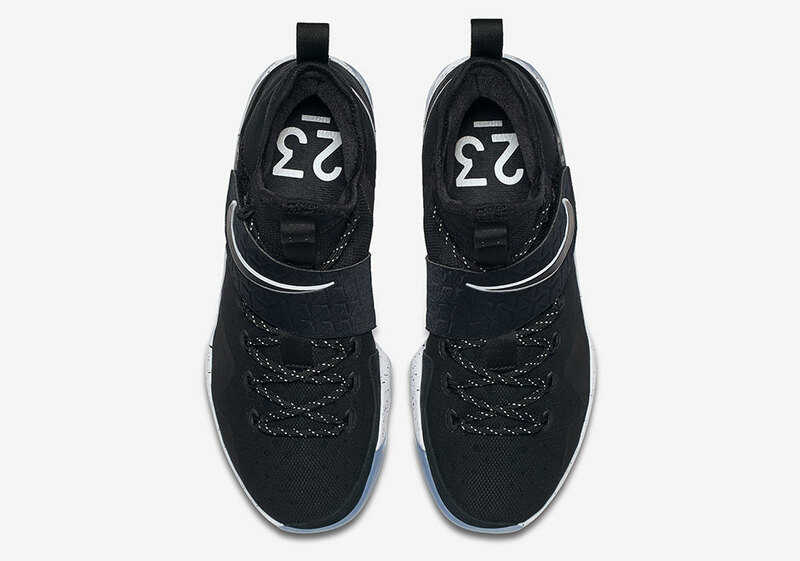 A midfoot strap returns featuring a unique texture complete with Swoosh branding while the outsole makes use of maximum volume Zoom Air units. 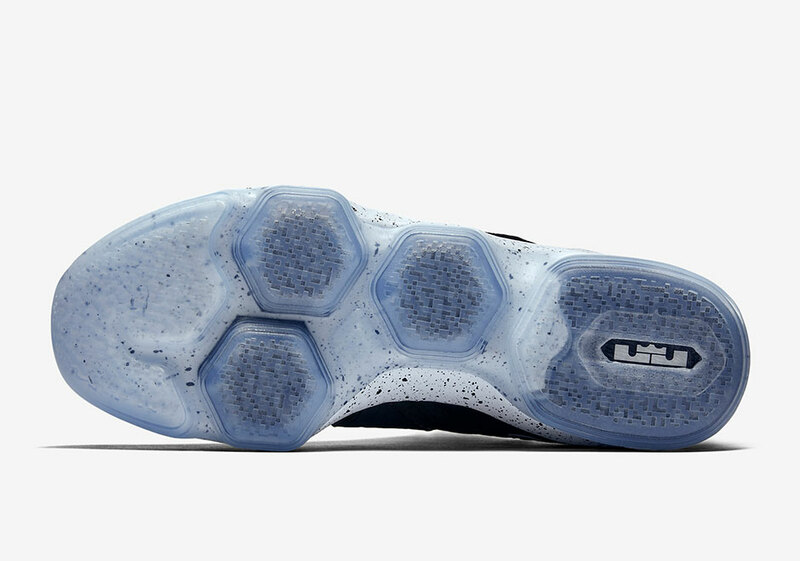 What results is a LeBron signature that sheds any extra weight, skipping out on the usual Posite technology that’s been such a strong asset in past LeBron releases. What do you think of the model? 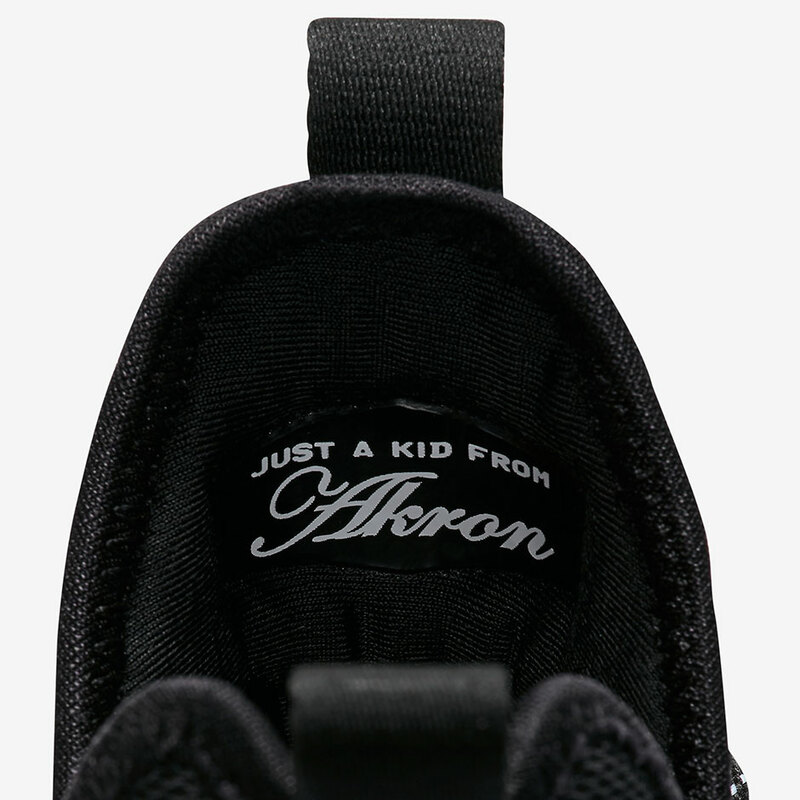 Stay tuned for an official unveiling of the LeBron 14 Black Ice in the near future, grab your pair on January 28th, 2017 for $175 USD, and stay tuned for more of the latest LeBron updates right here on Sneaker News.